Cognitive Dissidence: SafeSpace, Snowflakes and Water Slides! 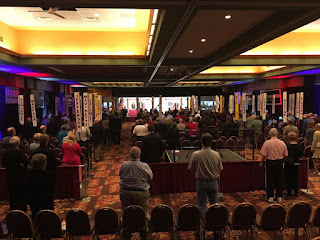 The WISGOP held their annual convention this weekend at Chula Vista waterpark in the Wisconsin Dells. As you can see from the picture on Madison.com: it was strongly attended by a handful of white people from each WI District. As we reported earlier in the week, the WISGOP, led by Robin Vos and Jesse Kremer, are working up a bill to force people to listen to racist, homophobic and hate filled speakers on college campuses! In Wisconsin, we get a yearly supply of irony every time a Republican speaks. In other items, Brian Westrate, 3rd Congressional District party chairman. Summed up the Republican party in one quick sentence. How rich, for one the Democrats DO have a candidate for Governor - Bob Harlow, secondly, isn't the party convention supposed to be about the party, Mr. Westrate lets us know that all they really have is an ability to smear their opponents with no real interest in policy or governing. Governing is almost as hard as telling the truth! 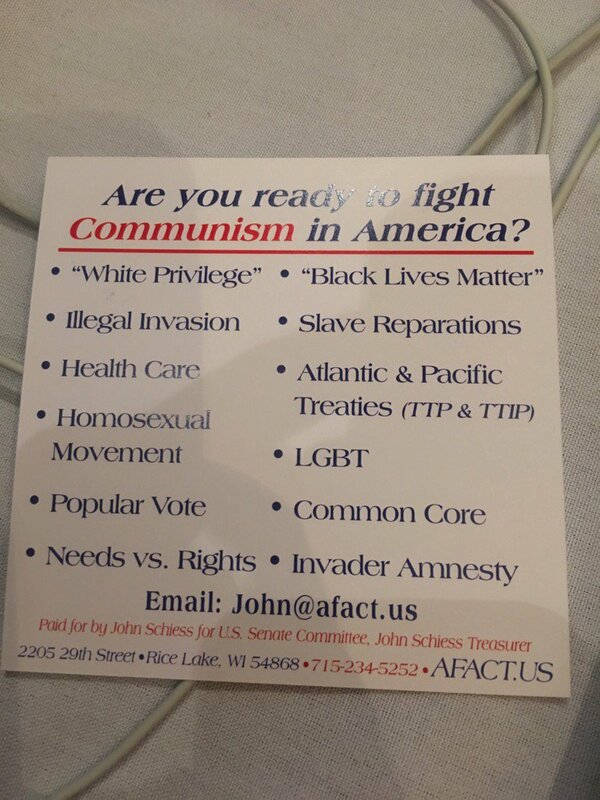 One thing you can do at the WISGOP convention though is learn how the whole of society is out to get you, and to be very very afraid. I hope that the attendees were at least able to enjoy the water park of Chula Vista, but when your whole worldview is based on fear, I am guessing they never ventured beyond the lazy river. 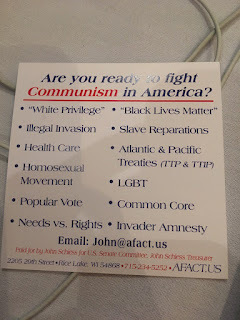 PS: What could you find at the WISGOP convention? 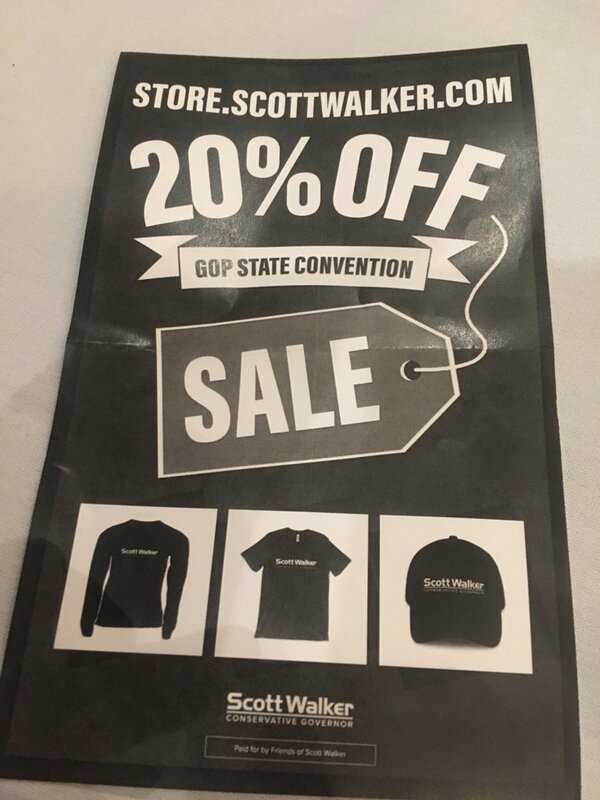 Scott Walker selling his soul crap at a clearance price! How is anyone "forced to listen to racist, homophobic and hate-filled speakers on college campuses"? And, for that matter, who gets to decide who is racist, homophobic, or hate-filled? The mob? ISIS? But you knew it was a matter of time before the Left would come out in favor of censorship. 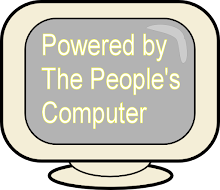 You are aware that this bill is the one censoring not liberals. 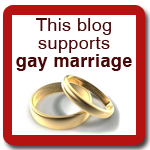 As for who decides if its hate filled, racist or homophobic, there is an easy way to judge. If it makes nASS, Kremer, Gannon or Grothmans leg tingle then thats a yes it definitely is .